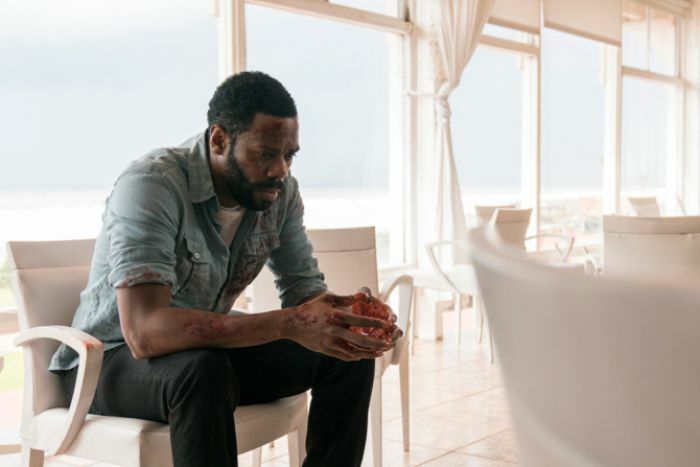 Fear The Walking Dead, the RC Cola to The Walking Dead‘s Coke, will once again be offering its substitute flavor this summer to pad the time between TWD seasons. 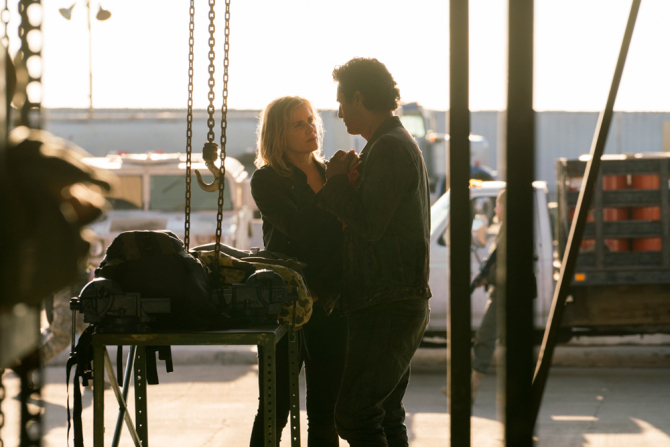 This week the first images from FTWD’s third season were released by AMC and published by Variety. So….Crazy Nick! Luciana! How’s your relationship working out? …..That well, huh? Speaking of couples, our main one has finally been reunited. Travis could definitely use the support after his own son died from self-inflicted stupidity. Strand is sitting around, holding a….red rag? Tomato? Human heart? Place your bets now! And this is Madison’s face. 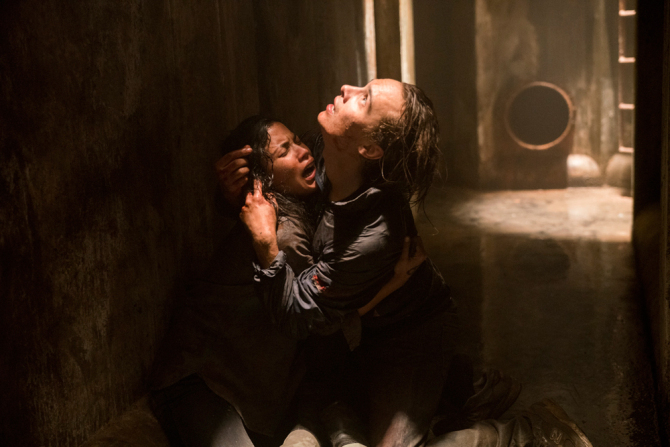 AMC hasn’t released a specific date for Fear The Walking Dead’s return, but they’ve been more specific in recent weeks. During last week’s TWD episode they mentioned the return would happen in June. We’ll let you know when the exact airdate is revealed.